We go back to kindergarten for our lesson today. Two wrongs do not make a right. 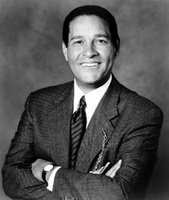 Radio stations, web sites and message boards across the country are buzzing because of the recent comments made by Bryant Gumbel at the end of Real Sports, the television program he hosts on HBO. "Finally, tonight, the Winter Games. Count me among those who don’t like them and won’t watch them ... Because they’re so trying, maybe over the next three weeks we should all try too. Like, try not to be incredulous when someone attempts to link these games to those of the ancient Greeks who never heard of skating or skiing. So try not to laugh when someone says these are the world’s greatest athletes, despite a paucity of blacks that makes the Winter Games look like a GOP convention. Try not to point out that something’s not really a sport if a pseudo-athlete waits in what’s called a kiss-and-cry area, while some panel of subjective judges decides who won ... So if only to hasten the arrival of the day they’re done, when we can move on to March Madness — for God’s sake, let the games begin." Gumbel’s remarks were ill-mannered and completely off beam. He should most definitely be punished, although he probably won’t be. First of all, as a sportscaster, his political views are absolutely irrelevant. More important, Gumbel chose to incite racism in one the few places that the color of your skin is less important than the color of the team you represent. Without question, Gumbel was wrong. At the same time, many of the reactions to his comments are just as crass as the original statement. Since when has it become okay to counter bigotry with bigotry? That’s where the problem lies. Even if it takes the ignorant opinion of a man from another race to provoke your racist views, it is still wrong. We live in the year 2006. It’s about time we get past these trivial issues. Posted by Dan McGowan at 2/17/2006 hype it up!